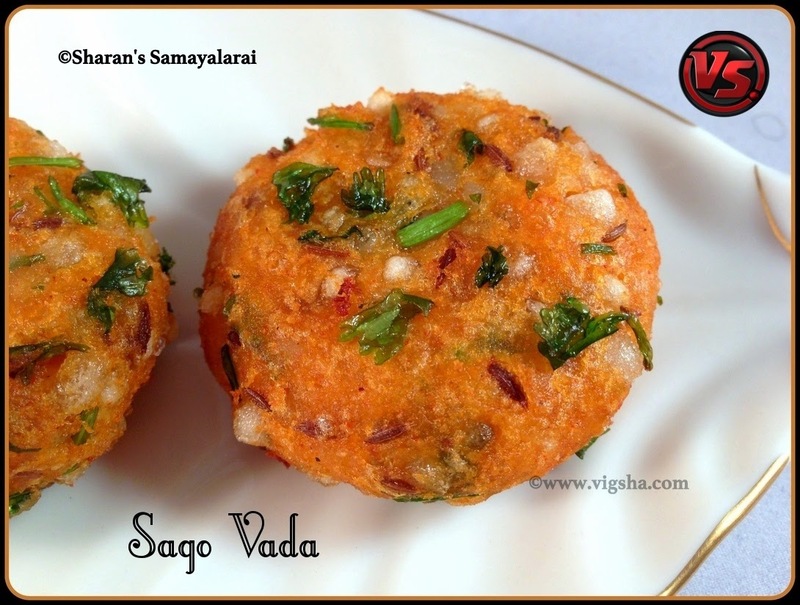 Sago or Sabundana or Javvarisi Vada is usually prepared during Navarathri. 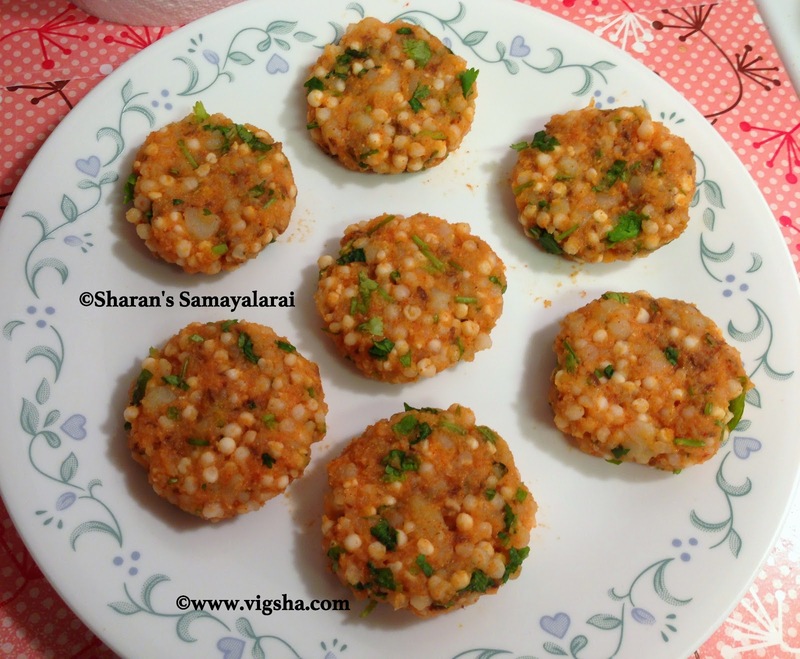 This is a popular and traditional snack from Maharashtra. This deep fried snack is crispy from outside, soft and chewy from inside. 1). 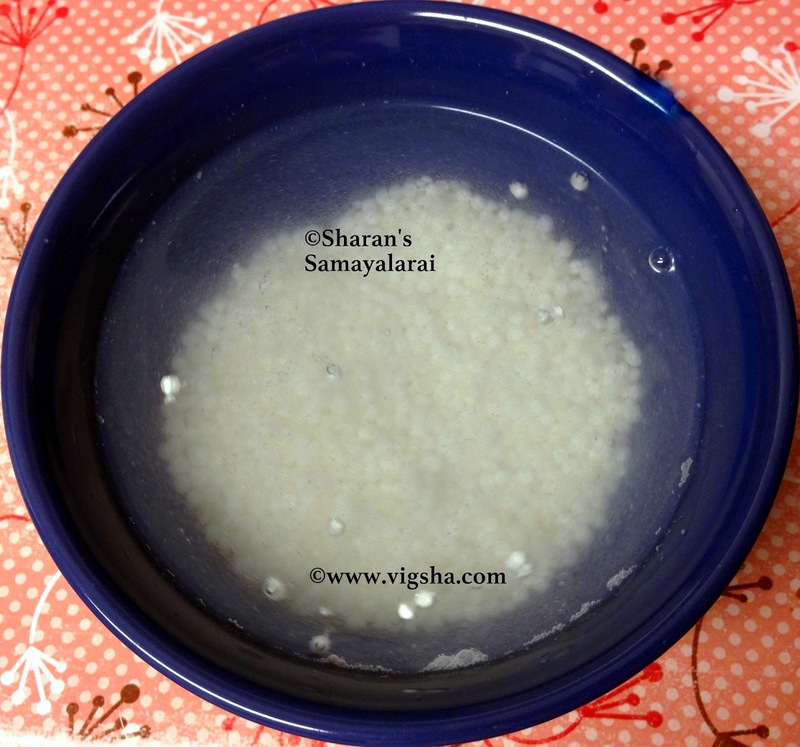 Wash sago under running cold water till water runs clear. 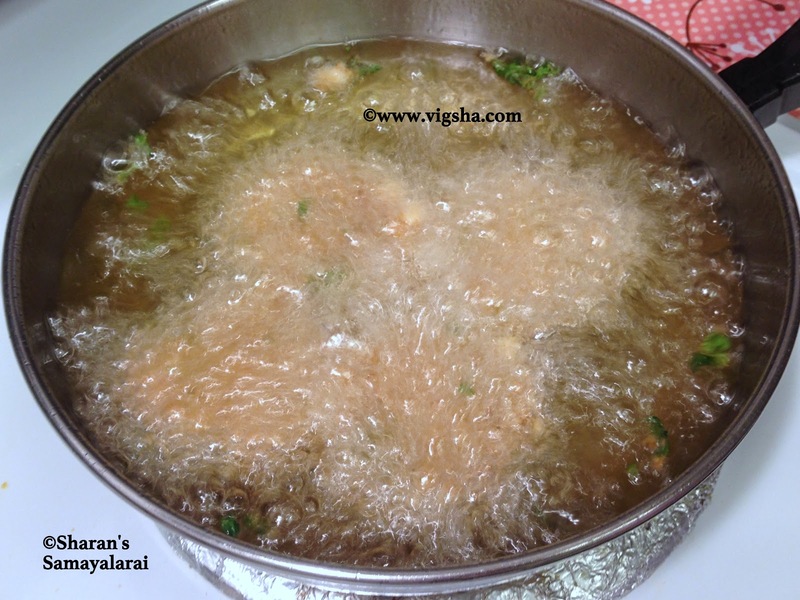 Soak them in enough water for 2-3 hours or overnight. 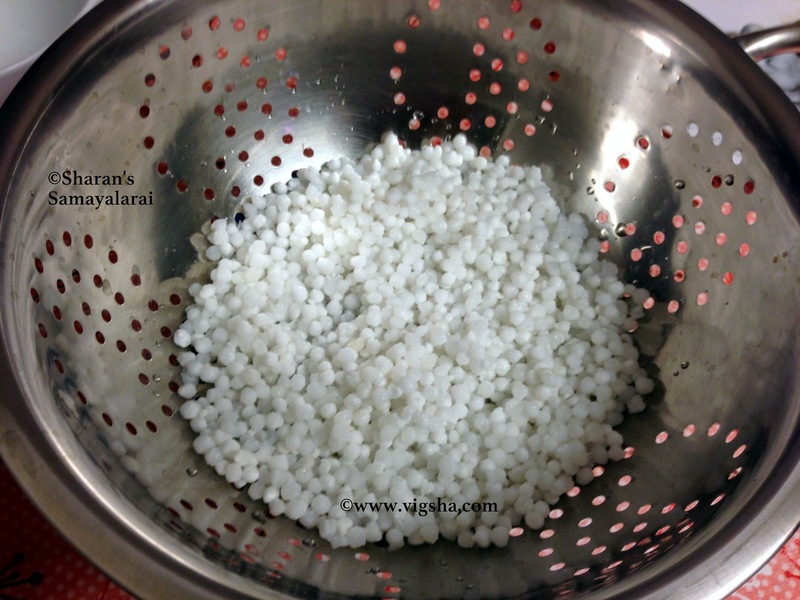 Drain all the water from sago and keep in colander for 10 minutes to avoid stickiness. 2). 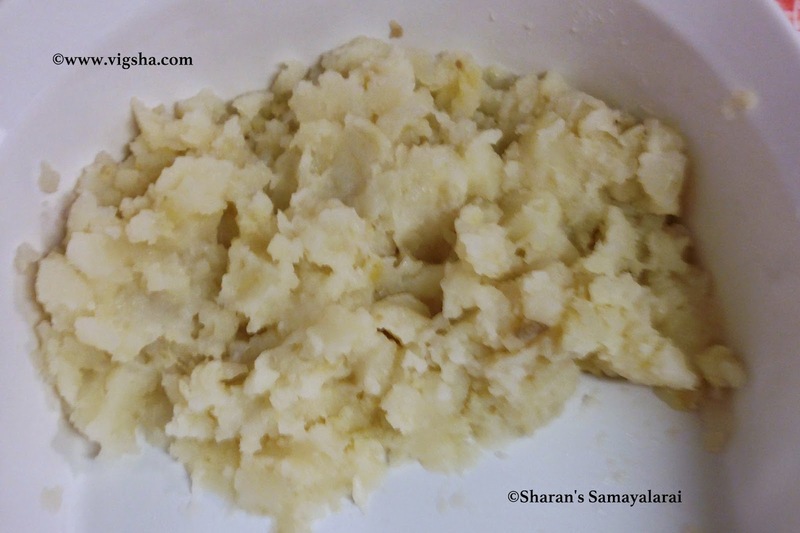 Mash the potatoes without any lumps in a mixing bowl. 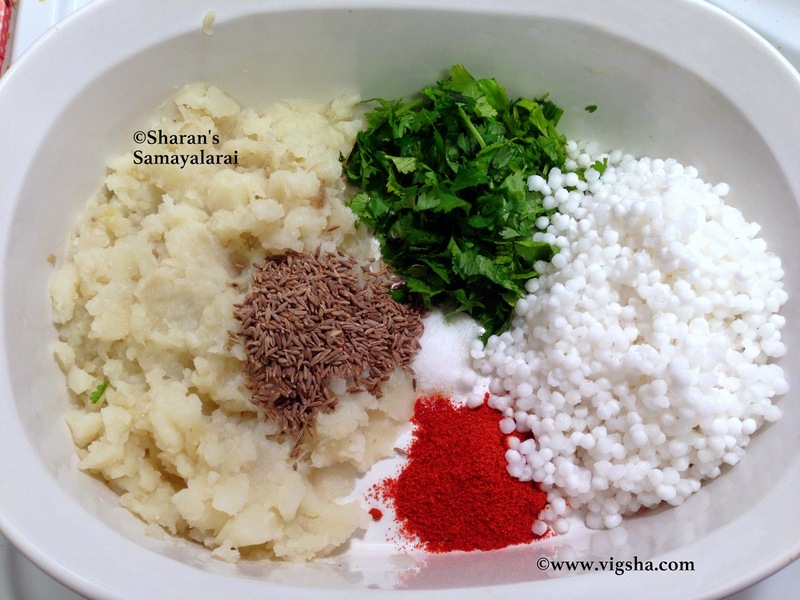 Then add sago, boiled potatoes, cilantro, curry leaves, cumin seeds, salt and red chilli powder. Combine everything together and make a soft dough. 3). 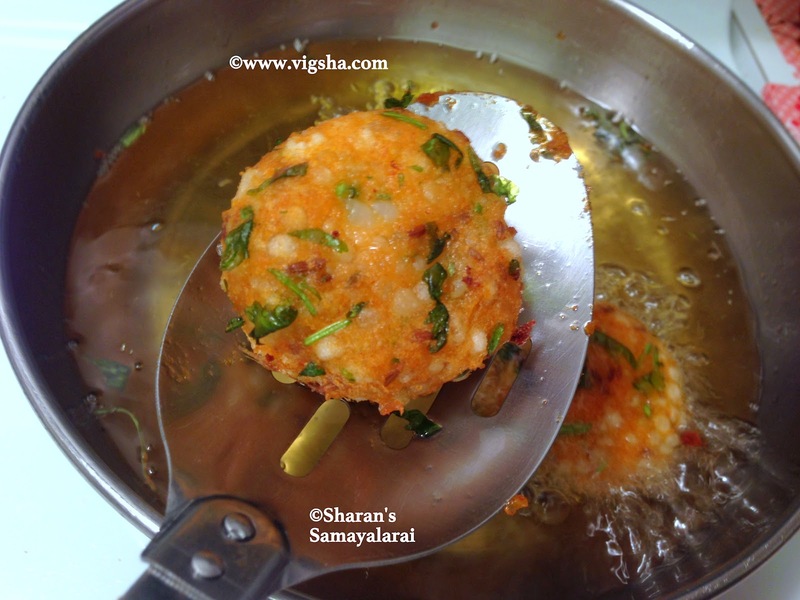 Heat the oil in a pan for deep frying. 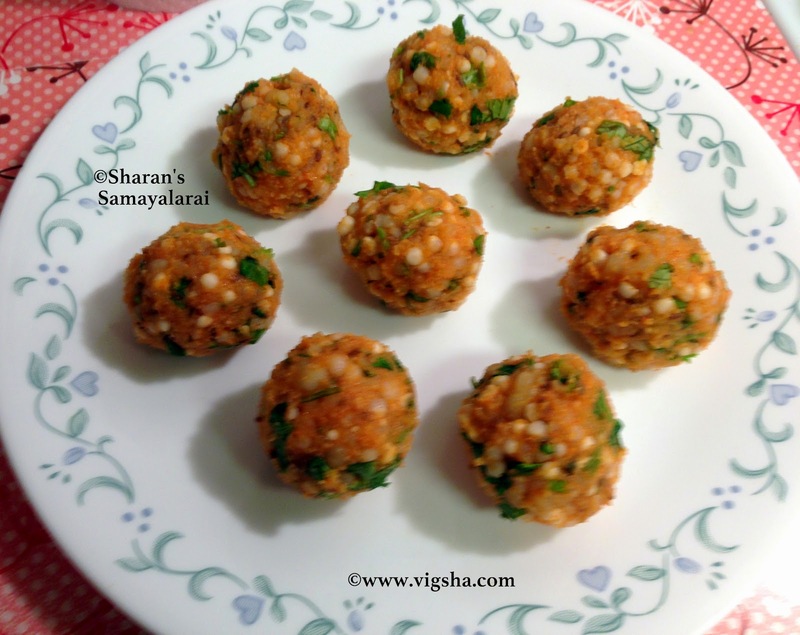 Divide the mixture into equal-sized balls. 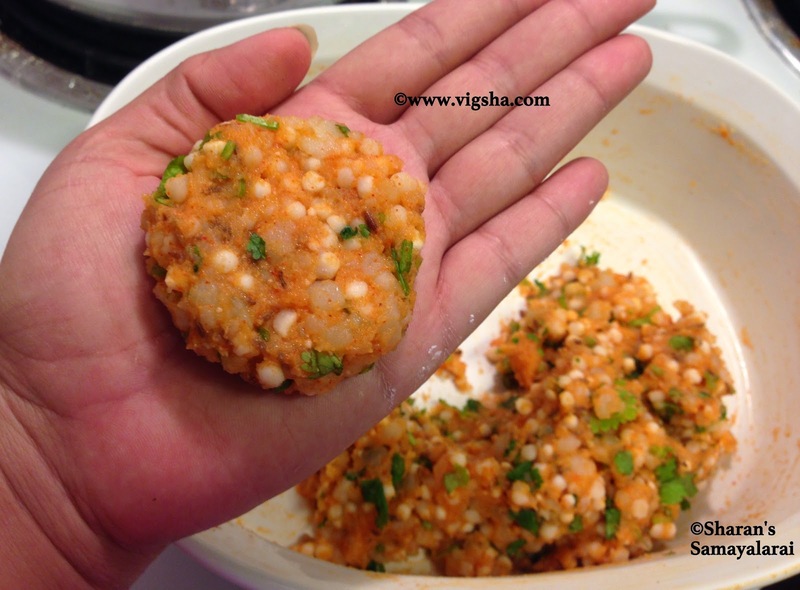 Flatten the balls slightly on the palm to form patties. 4). 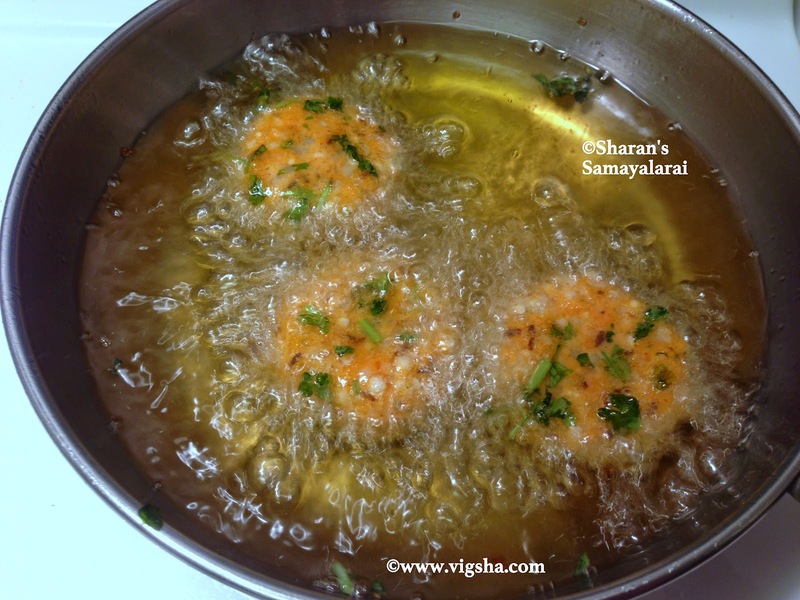 Once the oil is hot, slide the flattened patties gently into hot oil, deep fry on both sides till it becomes golden brown. Drain it on a paper towel to remove excess oil. 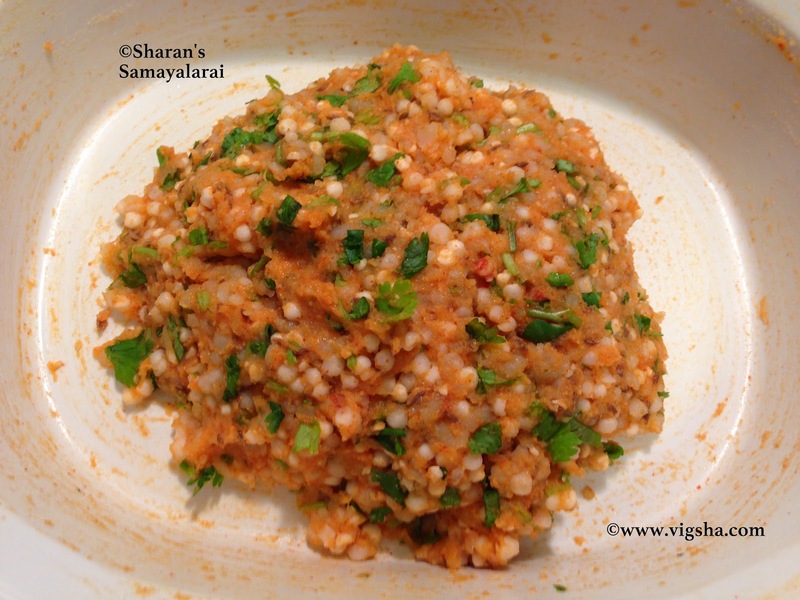 Serve hot with elanchi tea ! 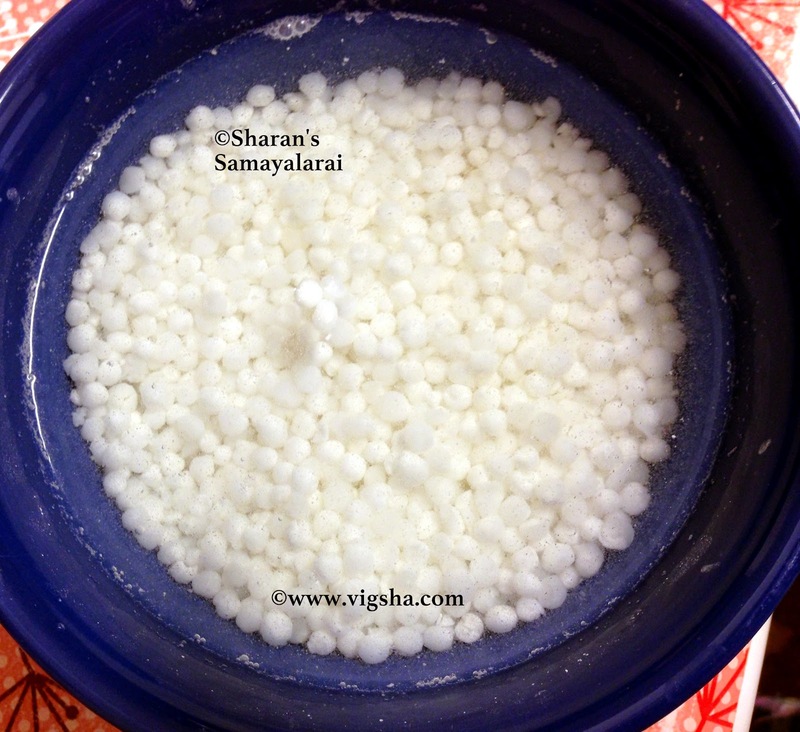 # Soaking time depends on the quality of sago, it will puff up and become translucent. When you press between your fingers it should mash easily. # Drain well after soaking or the mixture will become very sticky. 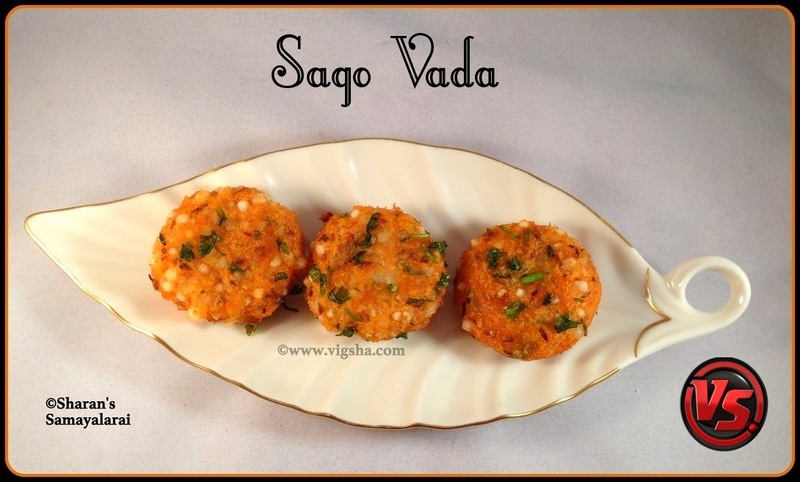 # Blend the potatoes and sago properly to avoid the vadas break in oil while frying. # The dough should be in proper consistency neither thin or thick. If the dough is bit loose you can add rice floor and make it thick. 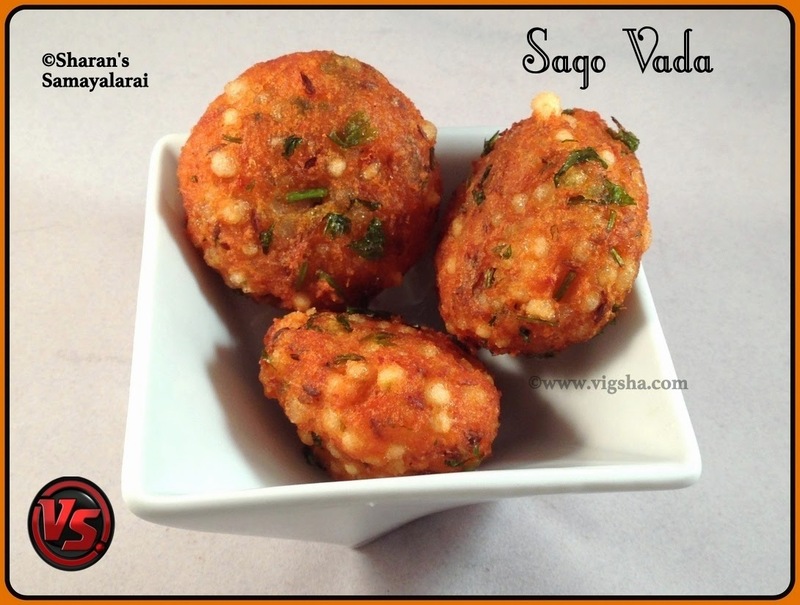 Love these crispy vadai's. 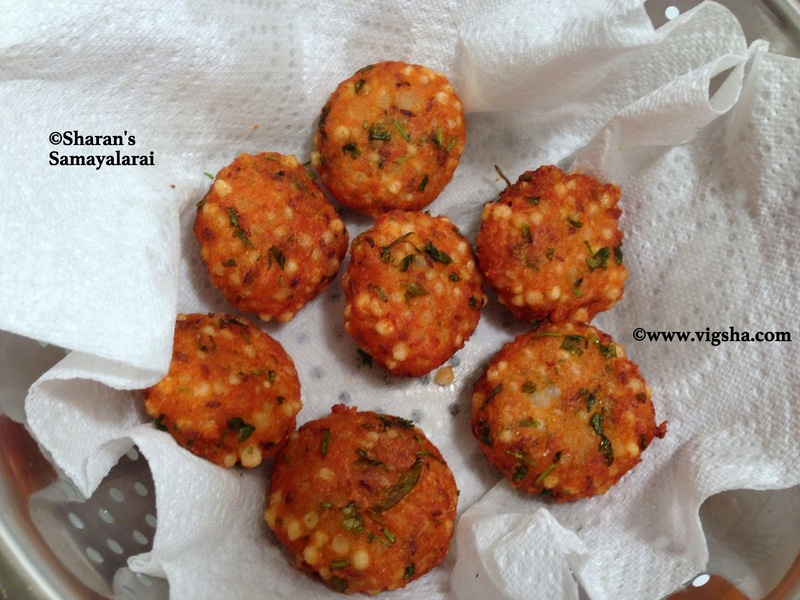 Perfect snack to have with evening tea. Love this crispy beauties, cant munch it anytime.